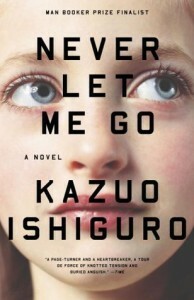 Never Let Me Go - M's blog. This book is just fantastic and disturbing at the same time. The thought of why they didn't escape from the recovery centers, and just accept the way it is disturbed me so greatly that I couldn't sleep for days. Why had Kathy not run away, but instead "be where she was supposed to be?". Overall, this is a great read, and I really enjoyed it. Would love to read The remains of the day next.